According to Belgian publication Voetbal Nieuws, West Ham United are interested in signing Club Brugge’s Marvelous Nakamba. The Hammers desperately need to make additions to bolster their forces in the midfield. The Zimbabwe international possess all the features required to work wonders under a manager like Manuel Pellegrini. The Chilean manager has spent quite a bit this summer and he must continue his good work at London Stadium. However, the 64-year-old should add reinforcements to his forces in the centre of the park ahead of the new Premier League season. Marvelous Nakamba, 24, features as a destroyer in the defensive midfield area. He can also play further up the pitch in central midfield. 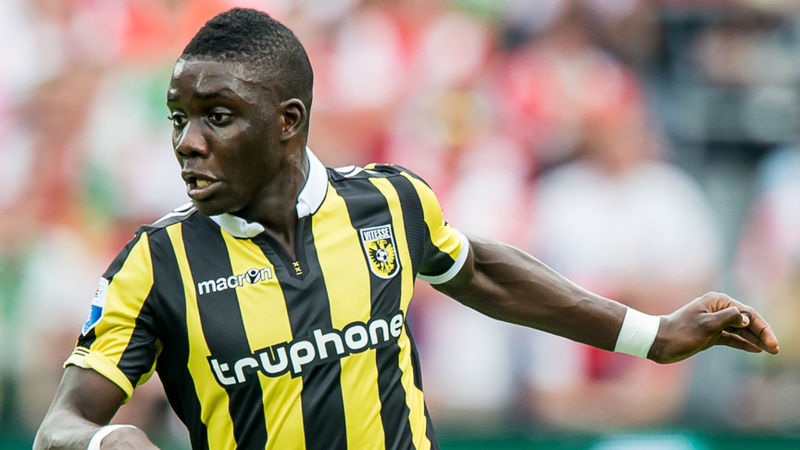 Nakamba signed for Club Brugge from Dutch side Vitesse. He started his career at Zimbabwean sides Highlanders FC and Bantu Rovers FC. The Hwange-born player then moved to French side AS Nancy in 2012, coming through the reserve team. He made his Ligue 2 debut for AS Nancy in the 2013/14 season, making two appearances. In July 2014, he went on a trial to Eredivisie side Vitesse. Nakamba eventually signed a four-year deal with the Arnhem-based side in August 2014, making 6 appearances in that campaign. In the two seasons that followed, Nakamba established himself in the starting XI, making 61 appearances in the Eredivisie. In April 2017, he played a vital role in helping Vitesse beat AZ Alkmaar to win the KNVB Beker Dutch Cup. It was the first time that three-time runners-up Vitesse had won the trophy in the club’s 125 years of existence. He joined Club Brugge in June 2017, however. He made 35 appearances across all competitions as Brugge won the Belgian league title and the Belgian Super Cup last season. Nakamba has won nine caps with Zimbabwe so far. He possesses energy in abundance and is known for constantly bossing the opposition. More than anything else, the player excels at winning the ball back for his team. His concentration almost never wavers and in addition to that, the midfielder is also great at passing, tackling and ball interception. Nakamba unquestionably would bring in something different to what Pellegrini currently has at his disposal at London Stadium. Young, aggressive and tenacious, he would add vigor into the Hammers’ midfield. Manuel Pellegrini has already enjoyed a dream summer with West Ham as far as transfers are concerned. But if he manages to wrap up a deal for the Nakamba, it would undoubtedly be the cherry on top.